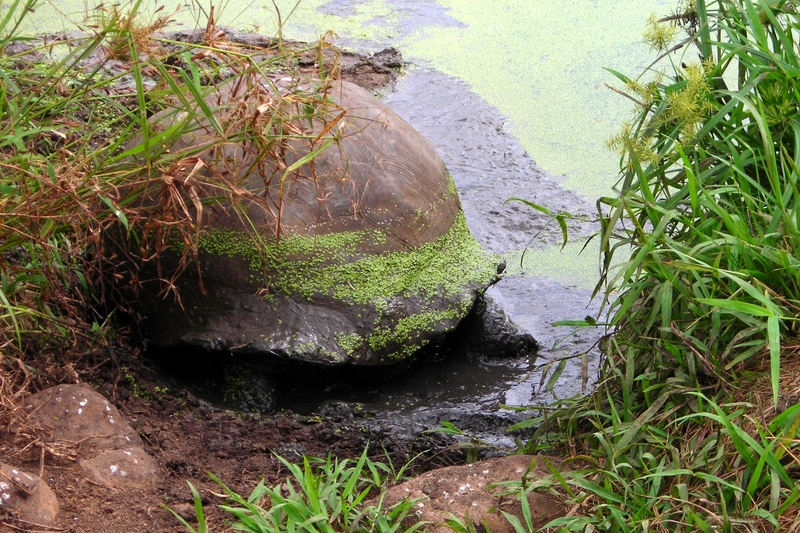 This Galápagos tortoise has found a good hiding place. We only saw a few of these in the wild; of all the islands’ animals, the giant tortoises may have been impacted the most by humans. Galápagos tortoises are the largest tortoise species and can get up to around 500 lbs. There are no large mammals native to the islands, so tortoises end up being the dominant herbivores, even eating Opuntia cactus pads. Next Article Is the moon a star or a planet? Cool. Must admit I thought it was a rock! Haha they are sneaky like that!